Robbed of the official Labour candidacy by Tony Blair, Ken Livingstone defied the New Labour leaders and in the summer of 2000 was elected Mayor of London. No sooner was Livingstone installed as Mayor than he created a Tory-Liberal-New Labour “popular front” government for London. The most “left-wing” plank in his election platform had been opposition to Blairite plans to privatise London Underground. 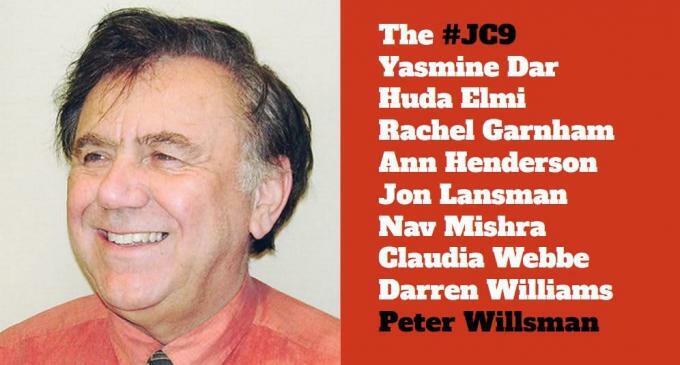 Left antisemitism and the "#JC9"
The decision of Momentum to remove their endorsement of Campaign for Labour Party Democracy (CLPD) secretary Pete Willsman from the #JC9 slate for Labour National Executive Committee has exposed fractures between Momentum, its supporters, other parts of the Centre Left Grassroots Alliance, and the Labour Leader's office. Read more about Left antisemitism and the "#JC9"
Consider Ken Livingstone and the Labour Party, Al Capone and the US government. They jailed Alphonse Capone, a multiple-murderer gangster, for tax evasion. That was odd, but I think it better they got him for that than that they didn’t get him at all. So with Ken Livingstone’s separation from the Labour Party on antisemitism. 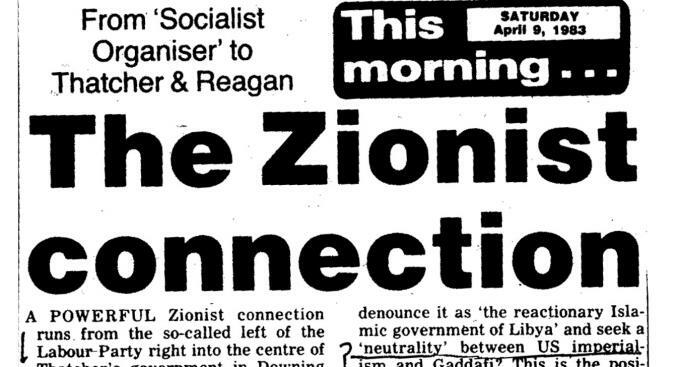 Livingstone has for nearly four decades been a public purveyor of political antisemitism. Galloway says he has “instructed solicitors to bring a case for defamation against Jon Lansman”. That is a response to a tweet by Lansman defending Jewish comedian David Baddiel after Galloway made a tweet (now deleted) that “no supporter of the Palestinian people” would march “behind” Baddiel (apparently a reference to planned protests against Donald Trump visiting Britain). For describing the WRP as a cross between the Moonies, the Scientologists, and the Jones Cult, which exploited young people, etc.,John Bloxam and Sean Matgamna were in 1981 sued for libel by the actress Vanessa Redgrave. This portrait of the WRP was part of an appeal for labour movement support in fighting the libel action. The WRP was then subsidising and producing Labour Herald, the paper of the Livingstone Labour left.